No matter how complex our bodies are, they always have a way of telling us when something is wrong. You just need to know what to look for. Once you know the cause, it will be easier to treat it. Yet, it does not mean that you should your scheduled visit to a doctor or a yearly checkup. It is amazing how every part of our body is able to give us a sign that there is something wrong either with it or with something else. Today we will have a look at ten signs your body gives to warm you. In case you notice that some of them are just like the ones you have, do not have to call your doctor. The longer you wait the worse it may get, keep that in mind. It is believed that earlobe crease is a clear sign of a possibility of heart attack, since there is a huge risk of artery blockage. If you have those, it means that there is quite a lot of fat stored under your skin, which in its turn means that there is a high level of cholesterol in your body. Try to take it down. 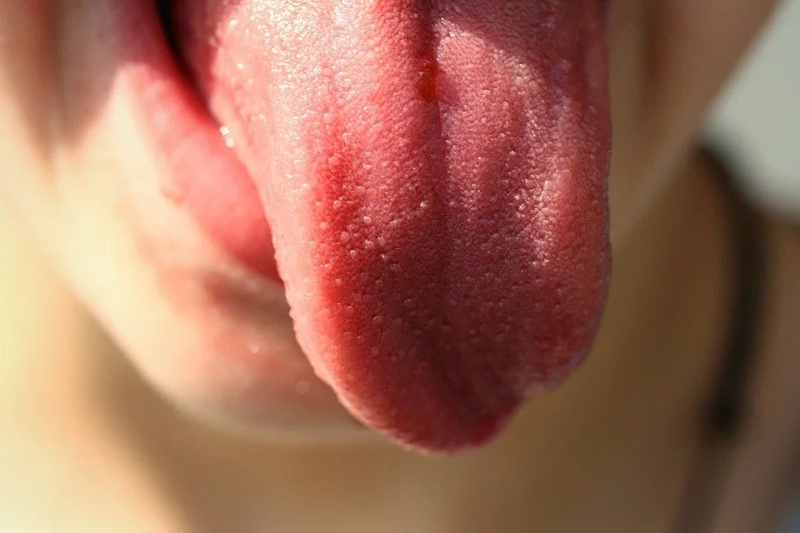 Smooth and swollen tongue means that you lack some iron or B12, or in case your menopause started – this is a sign of low estrogen. 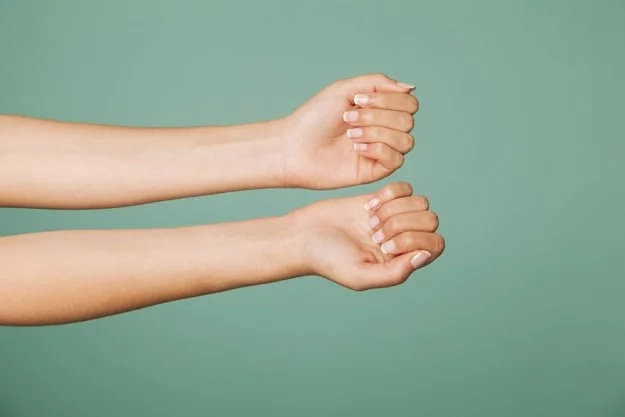 There is nothing to worry about, and usually it goes away once you restore all the needed levels of iron or estrogen, but in case it lasts more than 10 days, or you have any issues connected with the condition, you should consult your doctor immediately. 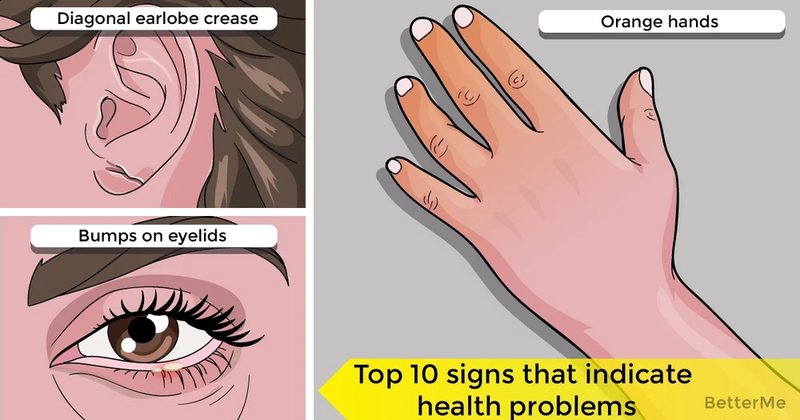 That may be a sign of cancer, that is why you should in no case neglect this sign. In case there is something bad-smelling and weird-colored coming out of your belly button, you should go for a checkup since it may be a sign of infection and obviously it needs treatment. This one is pretty harmless, since it happens when you consume too much of beta-carotene, and will go away once you get back to regular diet. This condition is the clear sign of iron deficiency. In case you haven’t been sunbathing and your body get covered with dark spots, it may be Addison's disease. When you get cold it is normal to have lace-like discoloration on your legs, but if it does not go away when you warm up, you should consult a doctor, since it may be a sign of heart disease. This one is usually harmless and inherited. In rare cases it means hyperthyroidism.